Jessica Lea Mayfield released a deeply personal and powerful record, Sorry is Gone, as part of a very intense 2017 album. We’ll discuss the auto accident that stopped her from an earlier planned trip into our studios and how she made the decision to record these songs that chronicle her time as a domestic violence survivor. What do The Temptations, Run DMC and Arlo Guthrie have in common? They made music that was inducted by the Library of Congress National Recording Registry last week. 25 pieces of music were deemed important enough to American culture to be preserved in the Library forever, and we celebrate them on Wednesday's program. Erin Rae grew up with very liberal parents in Tennessee, but sorting through her sexual identity as a teenager was difficult with some of the prejudice she saw around her. She’ll talk about that and perform a new song inspired by that story, plus three more from her just announced new album. Moby has sold over 20 million records, and on his new album "Everything is Beautiful and Nothing hurt", every copy sold benefits animal rights organizations. We'll talk to the extremely candid musician about his lifelong veganism, the changing world of electronic music, and being a sober 52-year-old who doesn't want to tour anymore. 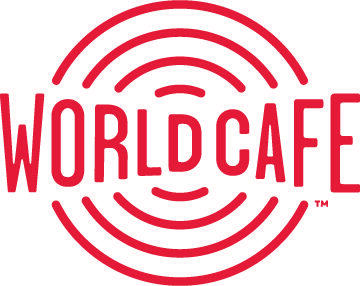 You can hear World Café every weekday at 2:00 pm on KRCB-FM Radio 91!